Remember 6 years old genius whose IQ is higher than Albert Einstein ? His mom taught him maths when he was 4 year old and a half. Man ! at that time, I bet all kids still think about milk breast. 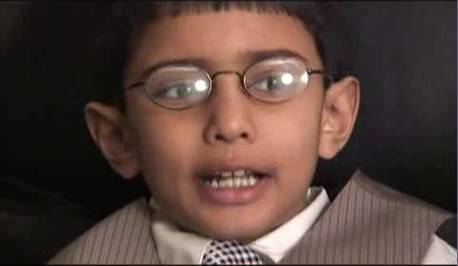 Pranav Veera, 6, whose 176 IQ is higher than Albert Einstein’s 160. Born to a Ph.D father and a mother with double master’s degree, Pranav Veera, pictured above, is from Loveland, Ohio. He has a photographic memory which enables him to do a lot even many adults can not do.